Use the Just Swim Calorie Cruncher to calculate calories burned during different types of swimming. Then compare how swimming stacks up against cycling, running and walking. 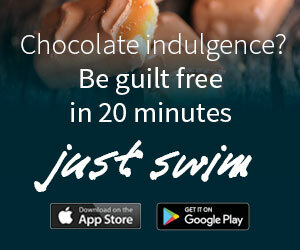 Burn calories swimming with the Just Swim App. Click the image above to download.